It is said that your home is your castle. People view their house as their haven, a safe spot they can always rely on and come back to when they need to escape from the stress of the world. What do you do when disaster strikes? How do you react when a tornado or even a hurricane strips off your roof, exposing your expensive home to the elements? Natural disasters are on the rise and they are becoming more destructive than ever. How can a homeowner protect what is in most cases, their most expensive asset? There are many tactics and ways to plan so that when you are in such a stressful situation, you can act with confidence. Right after a disaster, you may find that companies are going door to door to offer their services. Some of these companies may even offer pricing significantly lower than the current market price. Be sure to check their proof of insurance. Companies operating without insurance will be able to offer you the lowest price, however, their work comes with no guarantees and no recourse when something goes wrong. When reviewing the insurance for a contractor, make sure to note the type of coverage, how high the dollar amount will go, and also that the company in question is the one listed on the insurance document. 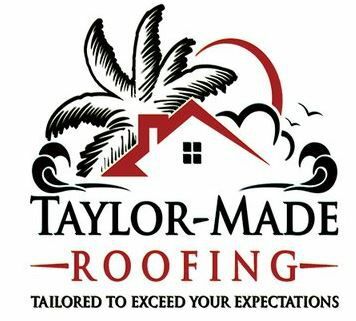 Taylor Made Roofing based out of Fernandina Beach, Florida area is always ready to help you and provide proof of insurance. Give them a call today at 904-251-5490 if you need a fast quote on your job. Communication will be one of the most important aspects of your experience. Will the contractor adequately explain and inform you of their timetable for completion and how they plan to get the job done? When problems arise, and they always do, will your contractor keep you in the loop? Make sure to check online reviews for the roofing company in question. Many times, honest reviews from former customers will let you know if the company has a good track record. I need a contractor now! This is one of the most frustrating feelings when your house is in disrepair. If you are in the Jacksonville Florida area and you need a contractor now for roof repair, you can rest assured that Taylor Made Roofing will have your back. Homeowners want to feel their contractor has the resources and manpower to deliver a quick turnaround on the job. Make sure that you do excellent research on the roofing company before rushing into an agreement to correct storm damage. When you are looking at the website for the company, does it look professional? Can you point to customers in the past that had a good experience with the company? Do they have enough workers to handle your job along with several others when a storm comes through? By following these three steps, you will be prepared for the next storm that sweeps through. Don’t get caught off guard!